This dress is an oldie but a goodie. This dress was pulled from the back of my closet on a sunny day for church. If you like these types of post leave me a comment below so I am do more. Party season is here! Recently I was on the Nordstrom website and came across these cute outfits for all the parties that I will tell you I am going to, to make me seem cool! So… if a party comes up, I will definitely be choosing one of these lovely dresses. 1. I am so in love with my FitBit, there are times when I of course want to wear it I want to look stylish. We shouldn’t compromise our style to be healthy. 2. I have been seeing this Tory Burch scarf all over the place, I love the mixed prints. 3. A Michael Kors Conograph watch… enough said. 4. 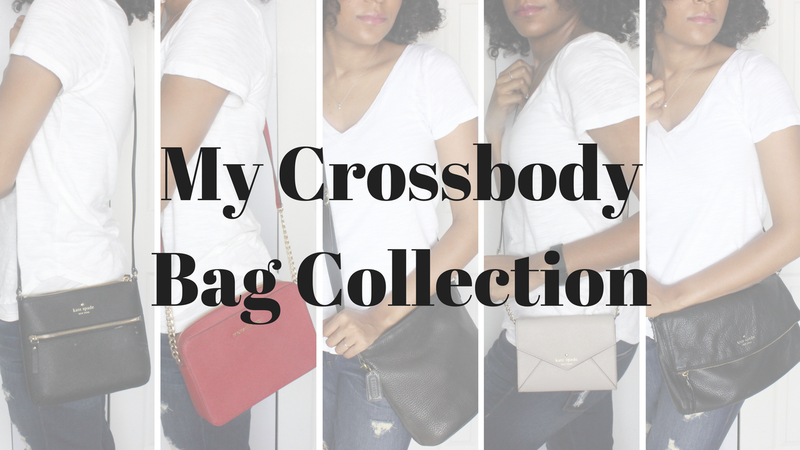 I love a cross body bag. Currently I have all the basic colors accounted for, but this mint green one will be perfect to add a pastel in the winter to break up all the dark colors, and a perfect touch to your summer wardrobe. 5. I have been lusting after these shoes ever since I saw them in target! They are amazing, but you know how it is to get sucked into the black hole of target. You go in for toilet paper and come out with everything you need to redecorate your bedroom. For that reason, these shoes never made the cut. 6. I light weight striped hoodie? Yes please! I love something light and easy to wear around. 7. I have an obsession with Leopard. I think that if it comes in leopard, I should have it! This bag, is so chic and will be a staple in every girls closet. 8. I love this red coat! Recently, I have cleaned out my closet and noticed I have so many black coats… this pop of color will be the best. So all you guys, take note. Everyone looks good in red. 9. I love anything gold and sparkly. This top is super cute for all our holiday parties coming up. 10. This parka is fully lined with Sherpa… I guess that is the warm stuff. But what ever it is, it keeps you warm while looking super stylish. First I failed by not having anything for Wedding Wednesday this week! I promise I have a good excuse. Over the weekend I went dress shopping with my Maid of Honors, it was a fail. At least we had fun doing it. Turns out I need a dress in order to know what dress my ladies should have. Rocket Science I know! But here are some photos of pretty wedding things. 1. Puffer Jackets- I am a person who is typically cold, so when the weather starts to change I need to grab something to keep me warm. These work great with sweaters. 2. Flannel Shirts- This is a fall staple. I wait all year for the chance to wear my flannel. They are so cute and look great if you need to just throw something on. 3. Leather jackets- This one pictured form BeBe is so adorable! It is a mixed media jacket the body panels are made of cotton the rest if faux leather. This may need to make an apprentice to my closet! 4. Cute Beanies- A BOW REALLY! Kate Spade you never let me down. 5. Track pants- These are the most comfortable fashion items ever! Oh and they look super cute with slip on shoes. 6. Chunky Sweaters- Again with the weather changing, we have to keep warm. Chunky sweaters are so cute over pretty much everything. 7. Slip ons- Yea. I know. Quilted faux leather slip on shoes. Guess what, they are at Target! 8. Lips and Nails- it’s time to darken our lips and play with our nail color. I have been loving Mac Rebel lately. 9. Scarfs- I love a scarf!!!!! Tory Burch made my favorites prints come together with my favorite accessory! Dreams do come true. My week in Instagram post. Head over and follow me! Have you seen today's post on www.mypurplescarfblog.com you should take a look!